You can ensure your outdoor building retains its like-new luster for years to come by performing timely maintenance tasks. These important procedures allow you to rectify small issues before they escalate and cause irreparable damage. In fact, you can actively prevent the need for huge overhauls or total structure replacements by completing maintenance tasks on a yearly schedule. Although you will need to inspect your structure for specific areas in need of attention, almost all outbuildings require the seven following tasks performed each year. Exposure to sunlight, rainfall and constant temperature fluctuations take a serious toll on the health of the seals around your outbuilding’s windows and doors. Without these seals, moisture and drafts would easily enter the structure. You can replace the seals quite easily, however, by scraping away the old caulk and applying a new bead. With proper application around window and door gaps, the caulk will provide another year’s worth of protection against the elements. The hardware used for your outbuilding, including door locks, hinges and window mechanisms, require regular attention to remain functional through the years. You can use a can of petroleum based lubricant to oil up the moving parts and add a layer of protection against moisture in the air. The lubricant will actively prevent rust from forming and locking the moving parts stubbornly in place. Constant weathering can strip away the sealant or paint from your siding materials. If your siding looks worn or discolored, consider applying a new coat of stain or paint to renew its outer surface. When you refresh this layer, you not only improve the appearance of your outdoor building, you also restore its shield against rain, sunlight, wind and other destructive elements. As the ground settles beneath your outbuilding, cracks may appear in the concrete foundation. Take the time to fill in the cracks as they appear to keep them from going through the entire slab. If the cracks push all the way through the concrete, you may need to have the slab replaced outright to protect your outdoor structure. When the vegetation around your outbuilding starts to grow out of control, it could cause damage to the entire structure. Plants with strong, fast growing branches can actually push through your siding or foundation and split the building materials. Prune or remove the offending plants to keep them from leaving immense destruction in their wake. At the very least, your roof will require a visual inspection to check for damage caused by storms, trees and wildlife. You should take a look at the flashing and shingles to check for wear or damage around the edges. If you find any loose elements, examine the underlayment for rips or tears. Promptly repair all damage to this layer before securing your shingles and flashing back down or your roof may leak when it rains. If you spot just one pest in the vicinity of your outdoor building, you can safely assume there are many more lurking in the shadows. Spiders, field mice, squirrels and even raccoons will start to search for warmer ground as the winter season approaches. Take the time to close up entry points and set traps to protect your outbuilding from potentially costly damage. When you choose to stick to a strict maintenance schedule, you continually rejuvenate your structures, inside and out, to protect your investment for the long term. To ensure you always complete your maintenance procedures on time, write out a yearly task list and hang it on the inside of the door to your outbuilding. Each time you complete the scheduled maintenance, sign and date the paper to check it off your to-do list. Your commitment to timely maintenance will keep your shed looking new far longer than you ever imagined possible. As you gaze upon the beauty of your outdoor storage unit, you might shudder at the thought of weathering damage impacting its gorgeous finish. 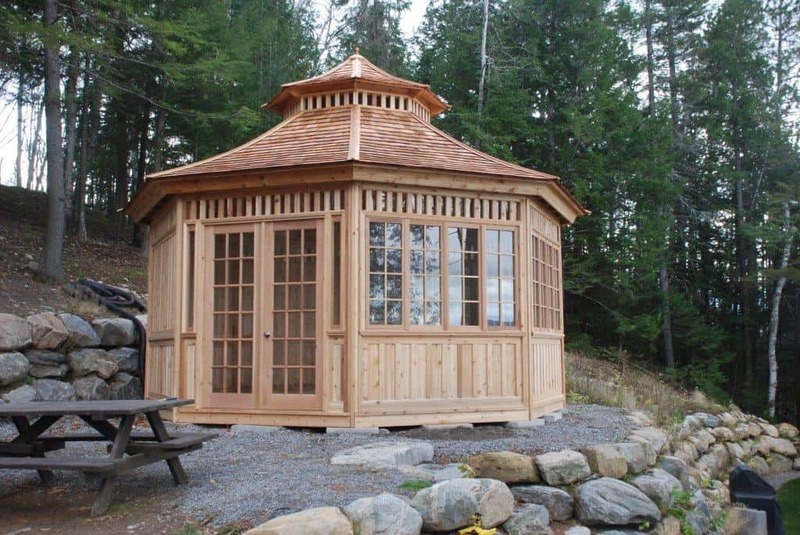 Even storage units made from the finest quality, whether it be with premium grade western red cedar or constructed using non-corrosive hardware, rain and sunshine can still wreak havoc on the structure and finish over time. You can avoid undue distress by preparing yourself for this situation ahead of time by learning what to expect as your building materials weather. Furthermore, you may be happy to learn that you can actually rectify the effects of weathering on your outdoor storage unit with a few simple repairs. Outdoor storage units made with plain western red cedar materials will naturally develop a rich patina over the years. The patina turns the wood from its rich red hue to a beautiful light silvery gray color. Since the patina develops as the wood stain wears off due to weathering, you can actually halt this process by reapplying stain on a routine basis. In addition, once the patina develops, you can sand and stain the wood anytime you wish to instantly renew its former red cedar luster. The stain color you apply will affect the finish hue of the wood, so choose your product wisely. If you need assistance, you can always speak to your Summerwood expert for help. The caulk and sealant products placed around the windows and doors will eventually wear away from the constant barrage of sunlight and rain showers. Without the sealant, your storage unit will develop a draft and insects could work their way inside the structure. You can replace the sealant by obtaining a caulk gun and tube of caulk. Make sure to remove the old sealant before attempting to fill the cracks with the new material. To apply the sealant, simply swipe the line of caulk into the crevice between the window or door frame and the siding. Use your finger to smooth out the line of caulk and push it deeper into the gap to create a lasting seal. The shingles you place on your roof may start to wear down and develop visible damage after years in the hot sun and heavy rains. Darkly pigmented roofing materials are particularly susceptible to damage from constant sunlight due to their high heat absorption rates. Your black, brown or dark gray shingles could reach a stunning 190 degrees Fahrenheit on hot summer days, which causes the material to become brittle over time. You can easily repair this issue, however, by removing your old roofing materials and replacing them with new ones. As you make these repairs, do not forget to replace the flashing to keep your roof from developing a leak during the next rain shower. If your outdoor storage unit has a solid concrete foundation, you may need to have cracks in that material repaired from time to time. The structure of concrete materials degrades in response to freeze-thaw cycles, excessive moisture and shifts in the subgrade. You should visually inspect the concrete to locate cracks before they worsen to minimize the number of repairs you will have to perform. If the cracks severely widen or extend all of the way through the concrete material, you may need to have the foundation removed and replaced to fully rectify the problem. You can actively protect your outdoor storage unit from weathering effects by performing timely maintenance on the exterior sections of the structure. You may need to replace worn or damaged shingles, re-apply stain to the siding and renew the caulk around the windows to rectify damage caused by weathering. Your professionals at Summerwood can help you understand the right type and amount of materials to buy to repair your outdoor storage structure. Feel free to contact the team anytime with your questions and concerns. Visit the website to browse through the available storage structures and use the custom design center to dream up new outbuilding configurations for your property. No, it’s rarely anyone’s favourite part of the design process, but it definitely is a necessary one. Here’s what you need to know about permits and the permitting process, before building! A building permit is a document provided to a home or business owner that provides approval for the construction process. It’s basically a proposal, or plan detailing exactly what your building is going to look like and what structural components will be included. The building permit process was designed to ensure that local and safe building standards are maintained by property owners. Building permits not only include the initial application, but periodic inspections throughout the building process to ensure compliance with codes and standards. An inspector may visit your property to conduct a preliminary site inspection before you have started construction. They may also revisit once you have installed your foundation so that it’s easy to determine whether footings or reinforcement have been properly constructed. A framing inspection is also common and usually happens before any drywall goes up, to establish that the walls are properly supported. In providing a permit you are outlining the construction process and manufacturing details, an inspector’s job is to ensure that you and your installer are complying by the original drawings. A gazebo overlooking the water? A permit will ensure sturdy footings! Every city or municipality has a department designed to deal with this process. To find your local building permit office, use your favorite search engine and type in your city, town, or municipality, followed by the phrase “building permits”. If this doesn’t provide the appropriate results, then just search for your city, town or municipality and give the first local Government office you see a call, they’ll be able to direct you to the right department. It’s imperative to find out what the rules and regulations are in your area before planning or designing anything. Finding this information from your local Government (most is easily accessible online) is important as guidelines differ greatly between regions and even from street to street. Being aware of these laws before proceeding will allow you to make more informed decisions about your structure, and may ultimately save you money. You wouldn’t want to be well into the design process before you realize the width, or height are prohibited on your property. That will mean additional time, planning and therefore money! Avoid the hassle and any mistakes by calling your permit office, first! Be prepared for a building inspector to visit and ensure your walls are structurally sound. 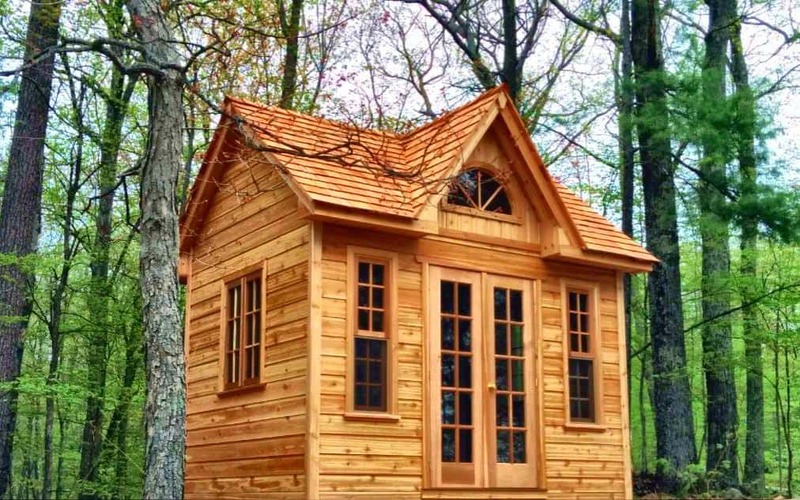 Permits are normally only required for structures exceeding 100 square feet, that’s a good rule of thumb. At Summerwood, we recommend that you check with your local permit office to see if there are any unusual requirements for your area before beginning any designing, planning or day dreaming! Depending on your property, there are regulations that may not even occur to you (conservation efforts, etc). Call first, plan second. In addition, home owners associations often will require their own permits in addition to the standard Government permits – so if you’re part of an association, be sure to check with them before starting your project. As mentioned, rules can vary greatly from region to region and even from street to street. It may sound like an unnecessary extra step to go through the permitting process, but don’t take the shortcut where safety is concerned. Modern or traditional, big or small, check with your local building department first! The permit process can vary quite a bit, depending on the size and complexity of your building. Many considerations are taken into account such as what you’ll be using your building for, how you’ll be finishing it, inside and out, and what elements you will be adding. 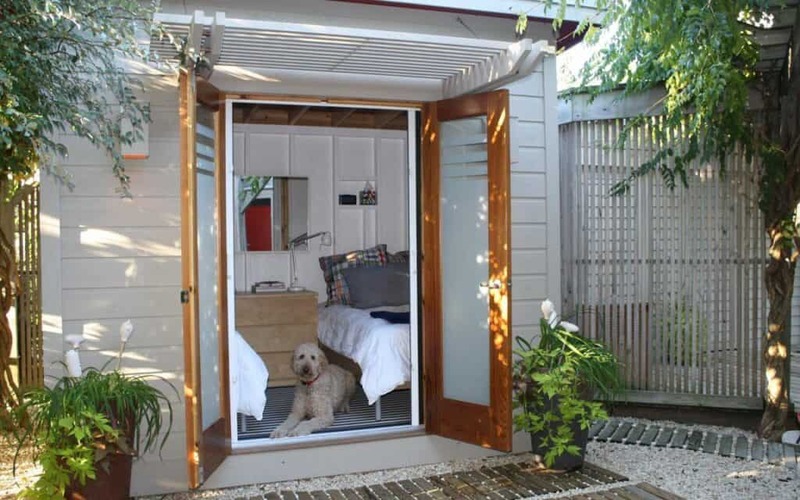 For example, a basic garden shed may not even require a permit, while a larger home studio, or pool cabana with electrical, or added plumbing will become more involved. The more complicated your structure, the more intricate the permit process becomes. In most cases, you’ll need to pay for the permit itself, and again, depending on the structure, you will need to submit permit drawings. These are comprehensive structural drawings including elevation and floor plans, as well as information about the materials being used. They are different and more detailed than sample drawings and are usually completed by a licensed engineer. At Summerwood, we have our own engineer on staff, to ease in the permit process and provide drawings specific for your custom structure. What if it Doesn’t Meet Permit Code? If it’s a Summerwood structure then there will be no issue with meeting permit code. All Summerwood buildings are designed and built like homes, as such it is rare that an inspector will request any changes. Should a building code in your jurisdiction have certain stipulations, let us know. We will build a structure that meets your needs and requirements, so that it will easily meet any permit code.